Politics in Zimbabwe is “poisonous” said the Zimbabwe Council of Churches and the Zimbabwe Catholic Bishops’ Conference. The week just passed has been full of drama clearly illustrating this point. On Monday Vice-President Emmerson Mnangagwa was sacked from the government for consistently and persistently exhibiting traits of disloyalty, disrespect, deceitfulness and unreliability. “It had become evident that his conduct in his discharge of his duties had become inconsistent with his official responsibilities,” Information Minister Simon Khaya who announced Mnangagwa’s dismissal said. The ruling Zimbabwe African National Union-Patriotic Front expelled him from the party two days later. As if not to be outdone the Zimbabwe National Liberation War Veterans Association led by Christopher Mutsvangwa “completely disowned” President Robert Mugabe and expelled him from ZANU-PF from which they were expelled last year. 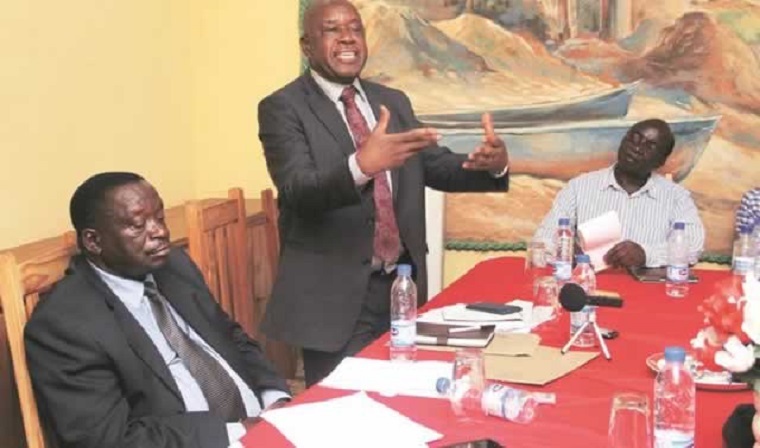 “In the true spirit of Mgagao, we say it is time to throw into the dust bin those who have betrayed the spirit of the revolution,” the war veterans said in a statement. “As such, we have expelled Robert Gabriel Mugabe from his position as the President and First Secretary of our revolutionary ZANU-(PF with immediate effect.